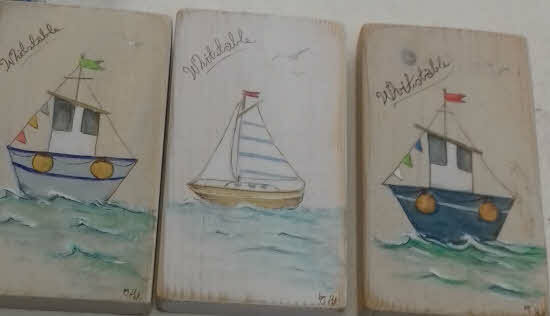 Hand painted boat art on wooden blocks. Made in Kent, England. These unique pieces are limited to one of each design.